I have such an obsession for Pottery Barn. It's just not normal. I've been looking at this photo carousel for weeks. My idea is to place this in my craft room to display cards and photos. I pressed the order button (while I still had a 10% off code). I was going back and forth between this table top version and the standing one (which as of right now is sold out). My craft room floor space is limited - so it all worked out. Can't wait to get it! 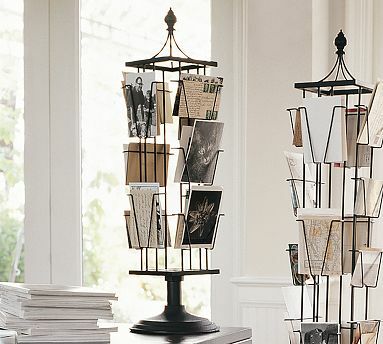 What a wonderful way to display your card creations.